If you had to chose one place to represent Russia, what would it be? High on most lists would probably be St Basil’s Cathedral (actually called Cathedral of Vasily the Blessed) and the Kremlin, just next door. Though both are worth exploring up close, for a unique way to visit both of these fantastic icons, consider a cruise of the Moskva River for a beautiful and unique view of Moscow – even better if its a sunset cruise! St Basil’s is as eye-popping now as it was when it was new – built in its own unique, trail-blazing style in 1561, no one quite knows where architects Barma and Postnik found their inspiration, though many say it is a combination of Greek, Byzantine, Islamic and Asian styles. Even the Italian Renaissance played a role (its surprising how influential Italian architects were in places like Russia, France and Eastern Europe). St Basil’s uniqueness is really what makes it so fascinating and its silhouette is unmistakable. The Kremlin, on the other hand, is more complex. A government building, a fort, the heart of Russia – the Kremlin is often also used metonymically to refer to Russia’s government. It is composed of five palaces and four cathedrals, enclosed by an imposing wall. Unfortunately, several heritage buildings in the Kremlin were destroyed to make space for ugly concrete Soviet-era buildings (before thankfully a law came into place preserving heritage sites). Once again, though it’s important to visit the site, a riverside visit to the Kremlin is a whole different – and much quieter and calmer! – experience. Get ready for some amazing waterscapes and skylines! Pro tip: best time to go is certainly sunset on a clear day – especially in the off-season if possible. 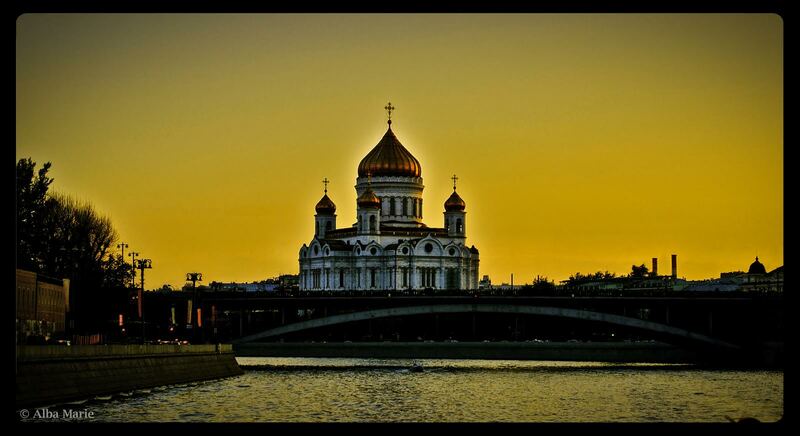 For amazing views of the Kremlin, St Basils and more, take a sunset cruise on the Moskva River. 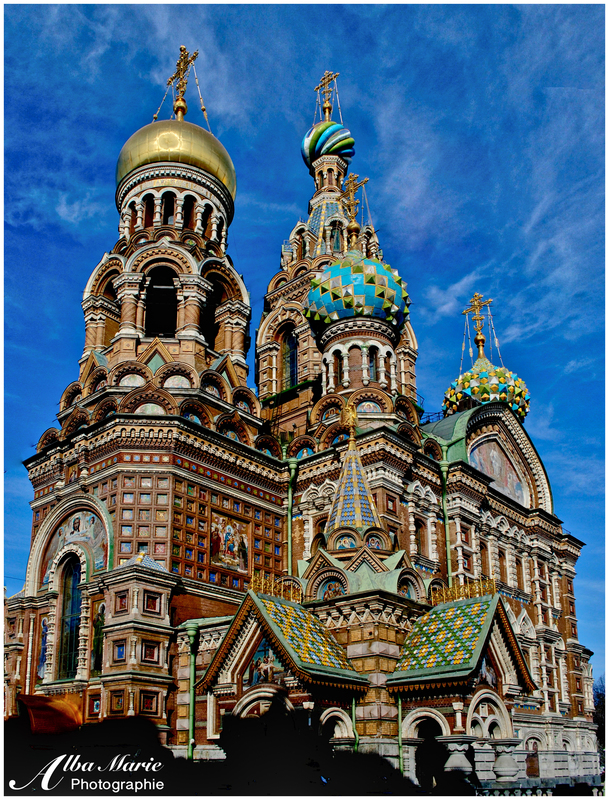 To some, the stunning Church of the Saviour on Spilled Blood resembles a giant cupcake; to others a Disney World attraction; to locals, a mere copy of the more-famous St Basil‘s on Moscow‘s Red Square. And yet. This stunning church has a life and attitude all of its own. 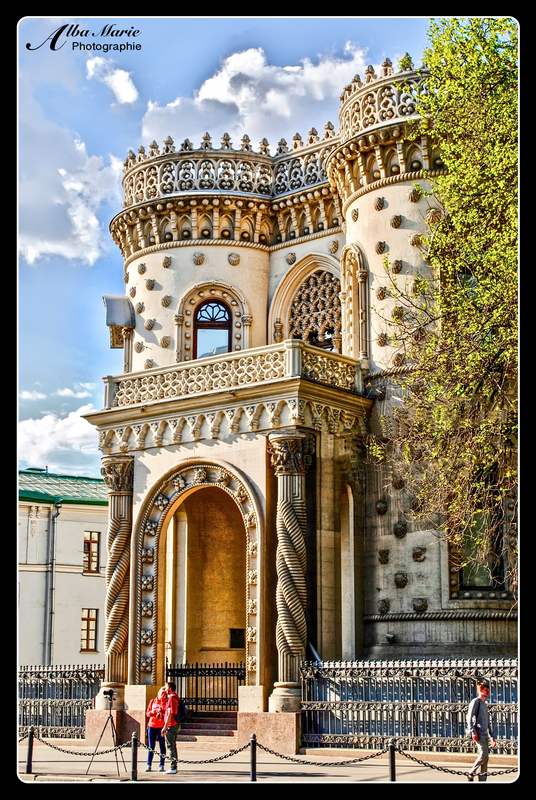 Inside and out, it is a work of art, an example of high romantic nationalism and Art Nouveau that stands out from the rest of Baroque and Neoclassical St Petersburg. Conceived and completed in fin de siecle Russia, it was meant to be a way of immortalising Tsar Alexander II by his son, Alexander III, who was assassinated here by a group of anarchists. Inside, every inch of the high walls are covered with biblical art, containing over 7,500 square meters of mosaics, which by some estimates, is more than any other church in the world! Sadly, during the war, it was used as a temporary morgue during the WWII Siege of Leningrad, and afterwards as the city was still recovering, it was used as a storehouse for produce and other foodstuffs – lending it the derogatory nickname, Saviour on Potatoes. Today, it is a museum and a tribute to another Russia, another era. It was never reconsecrated, and therefore is not a proper place of worship, but does attract visitors from all over the world to admire its expert craftsmanship. Pro tip: There is a small entrance fee of 250 rubles (about €3) but it goes towards the renovation and upkeep of the church. The church is closed Wednesdays. Moscow is filled with wonders: golden domes, brick-red towers, huge parks, Stalinistic skyscrapers, broad avenues, elegant theatres, brightly-coloured Orthodox churches. It is a city of considerable fortune (reflected in its extremely high rent prices) that draws people in from all walks of life, either to live there or simply visit this place. Perhaps this vast array of cultures accounts for the vast array of noteworthy architecture. One such example is the so-called House of Friendship, as known as the Arseny Morozov House, located on the far side of the Kremlin. Built at the turn of the century, this fin de siecle folly (fake castle) was modelled after the exotic and eclectic Monserrate Palace in Sintra, Portugal. The design of the House of Friendship includes twisted columns, encrusted shells, and lace-like stonework. Built for party-loving Arseny Morozov, it later became the Proletcult Theatre in the 1920s. This was the branch of Soviet theatre branch tasked with ideology and propaganda, evoking industrial, factory, farming, and other such motifs without much regard towards plot. Sadly, the only way to visit the luxurious and bizarre interior is to attend a concert or lecture held at the house. Instead, gouge yourself on the eclectic exterior while roaming the streets of Moscow in search of the city’s most extraordinary architectural designs – of which it has no shortage! The Kremlin: probably one of the most infamous places across the Globe, it seems that few people choose to venture inside this massive and widely important complex. In essence, the Moscow Kremlin is a fortified complex snuggled between Red Square and St Basil’s Cathedral, and encompasses five palaces, four cathedrals, and the Kremlin Wall interspersed with the famed red towers of the Kremlin. It is the Russian version of the White House, serving as personal residence of Russia’s president (today meaning the controversial Vladimir Putin). 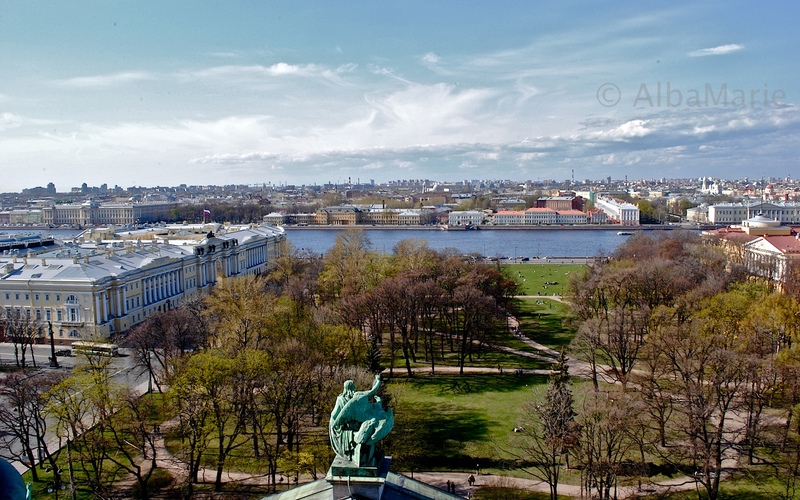 In the past, versions of the site have served as the seat of the Grand Dukes of Russia, the famous Russian Tsars, Catherine the Great and her extravagant Neoclassical palace and Soviet rulers. The above building is the Ivan the Great Bell Tower, which contains 22 bells and is now the tallest Kremlin structure. It is not the first bell tower to appear here; indeed, Moscow’s first bell tower was erected here in 1329, called St Ivan of the Ladder Under the Bell. One of Russia’s Grand Dukes, Ivan Kalita, built this massive whitewashed brick version in 1508 – the name is supposedly a nod towards the original tower, but one can imagine that Grand Duke Ivan wasn’t too opposed to name his construction the ‘Ivan the Great Bell Tower’ either! To visit this tower and the rest of the ever-impressive and awe-inspiring complex, one must buy tickets at the entrance, taking care stay with the carefully-allotted paths and buildings unless you’d like to see what the inside of a Russian prison looks like! Visit the exterior of the complex by exploring Red Square and alternatively, take a boat tour of the Moskva River at sunset to see Moscow in a new light! Moscow has one of the most beautiful and historic metro systems of the world – certainly Europe in any case – and the looped, Soviet-era Koltsevaya Line right in the centre is the jewel. Novoslobodskaya Station is one of 12 stations, each known for their elaborate decor (the best generally considered to be Komsomolskya Station). These luxurious underground art exhibits, built as “palaces for the people” were designed to awe and inspire Stalin’s subjects, constantly keeping them looking upwards in admiration of the Soviet Union. Interestingly enough, the Novoslobodskaya Station, composed of 32 glass panels supposedly symbolising peace, were created by a group of artists from Latvia, not Russia at all. At the height of Stalinist Architecture, top architects were designing an intricate network of criss-crossing metro lines – with no circle Koltsevaya Line intended. Urban legend has it that the Koltsevaya Line was built when Stalin set down his coffee cup on the plans leaving a circular stain, and the builders were too nervous to ask if he meant to put the ring there, so they built the line. That same legend claims this is the reason the line’s colour is brown. Story or no, the Koltsevaya Line circulates central Moscow and hides some of the most beautiful architecture in Moscow below the millions of feet that walk above these underground museums every day. White and gold-wrapped Hershey Kisses turban the top of the magnificent Smolny Cathedral and Convent in the glittering Russian cultural capital. Originally built to be a religious palace (or prison, depending on how you look at it) for Elizabeth, daughter of Peter the Great, she later rejected monastic life after her predecessor Ivan VI became the victim of a coup d’etat, instead opting to accept the throne in his stead. 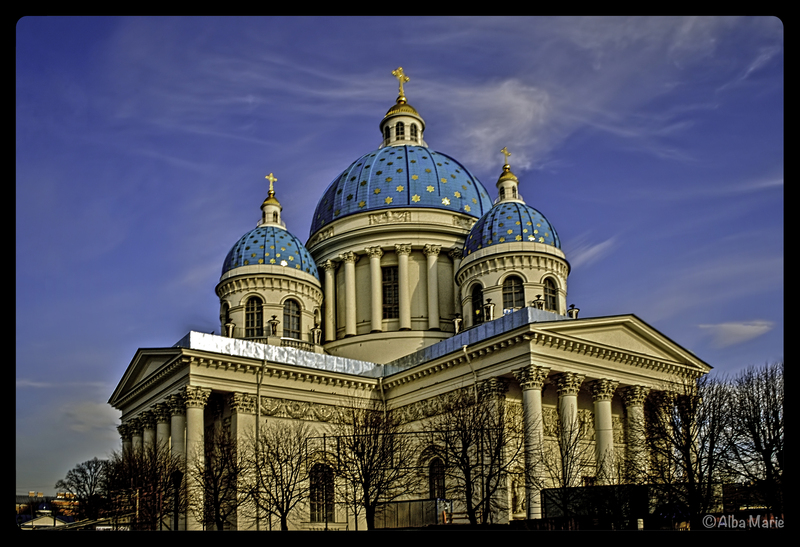 Smolny Cathedral is the jewel in the crown of the surrounding Smolny Convent, built by famed Italian architect Rastrelli between 1748 and 1764 (the same man who designed the Winter Palace and many other glittering St Petersburg landmarks). Catherine the Great, who did not approve of gaudy Baroque styles, later halted the work on the complex, but it still remains one of the cities finest gems. Today, it houses a concert hall, government offices, and several departments of the St Petersburg State University. This beautiful pink palace in downtown Warsaw has been the seat of the Royal Court of Poland since the 16th century until what is known as the Partitions of Poland. For those of you not up to date on your Eastern European history, the Partition was a series of three divisions of the Polish-Lithuanian Empire at the end of the 1700s. Summed up, Poland-Lithuania’s neighbours basically chopped up the kingdom in sizable chunks, claiming the land for themselves. Between the Russian Empire, the Kingdom of Prussia and Habsburg Austria, Poland as a state ceased to exist for 123 years, instead becoming integrated into these various nations, including Warsaw and it’s royal castle, which became part of Prussia. Despite all, the castle has stood the test of time. It has seen the ratification of one of Europe’s oldest constitutions, Constitution of 3 May 1791; it has been used as an administrative centre by the Russian Tsar; it housed German Governor-General during WWI; it has been burned and looted by Nazis; it has been damaged during the Warsaw Uprising; it was nearly destroyed during the War, only to be rebuilt in the 1950s. Warsaw and its beautiful castle have seen a lot things over time – and yet, here they still stand proud. The Orthodox faith has always been very important in Holy Russia – though to me, Russian Orthodox churches look like pastries, and Chesme is no exception (I’m licking my lips right now!). Peter the Great founded the city of St Petersburg in what was once a marsh, largely because he felt like it. He wanted to show off his might and skill to the Russian Empire, Europe, and the rest of the world. He wanted to be close to the Baltic Sea (Russia fought for centuries for access to those frosty Baltic Sea ports…). After many embarrassing failures to control the Baltic Sea trade, finally, he gained minor success in the northern Baltic region. So, he decided to use the bit of land he gained to build his own city. But the ironic thing? Peter didn’t even like religion. He didn’t trust it – and this distrust shook up the entire state of Holy Russia to its core. Yet to this day, St Petersburg hosts some of the most magnificent religious buildings in the entire Christian faith from awesome cathedrals all the way to little churches in the outskirts like this one here – largely because of Russia’s great art patron, Catherine the Great. Built in 1780 by Catherine, Chesme Church commemorates Russia’s 1770 victory against the Turks in Chesme Bay. No, the metro doesn’t sound like a prime tourist destination, and no, this doesn’t much look like a metro station–especially in Russia! But in both cases, you’d be wrong. Ignoring a trip to the Moscow metro, particularly the brown line, would be a mistake since it’s one of Moscow’s many beautiful sights! The Кольцевая (pronounced ‘koltseviya’) line is the oldest one (built in the 1950s)–and the prettiest. As it’s commonly drawn as a perfect circle on metro maps, the old joke is that when originally constructing the metro, Stalin put his coffee mug down on the plans, leaving a perfect, brown circle–but the workers were too scared of him to ask if he meant to put the circle on the map or not, so they built it anyway! This of course is just a funny anecdote, but there is no doubt that the Koltseviya Line stations are beautiful, nostalgically reminiscent of bygone times of marble banks, elegant halls, or grand operas. 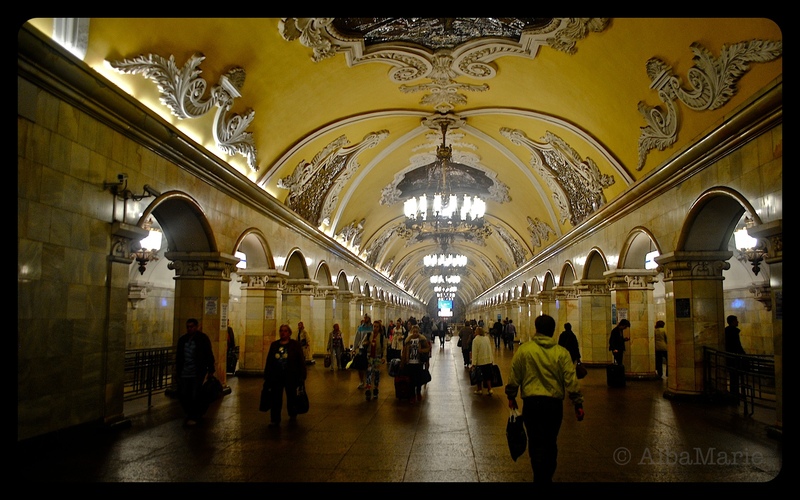 Pictured here is the Komsomolskaya Station, one of Moscow’s busiest stations as it is located under the train station. It’s also a contender for the most beautiful on the circle line! Though the idea may seem a little bizarre to you, it’s worth it to take an hour or so and tour the Moscow metro! There’s even a free tour you can take if you have time. 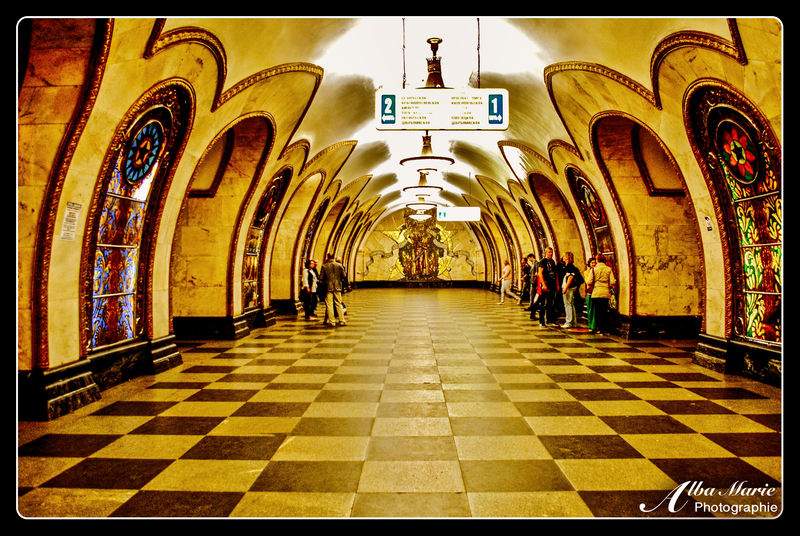 Either way, Russian metro is worth visiting–there is a museum of a bygone golden era hidden below your feet! After a short holiday hiatus, I return with a fresh round of posts to start off 2015! While I did not spend New Year’s Eve in St Petersburg, (far from it; instead, I was visiting family in America), I was able to witness this fantastic display of fireworks while on holiday there. Fireworks, created around the 7th century by the Chinese and popular in Europe by the 1600s, have long been used to celebrate festivals and important cultural events because of how magical and powerful they seem. And what could be more important than celebrating the New Year and all that it represents? Whether you choose to spend New Year’s Eve at home or abroad, be sure to choose a destination with a fantastic lights show, a beautiful backdrop, and a great big boom! The golden sun sets on Moscow, sliding over the top of the cathedral’s gilded domes as it sweeps into the river, leaving a glistening reflection of the boats passing alongside. There is no doubt that Moscow is a beautiful place. Why then, are there so few people who feel compelled to visit this city? Part of it is that the image of Moscow during the 20th century continues to persist. One thinks of the KGB, Russian mobs and the evils of communism. It is not only Behind-the-Iron-Curtain, it created the Iron Curtain. Hammer and scythe building nuclear weapons, placing sleeper cells throughout America and Europe, and plotting to take over the world. I’d like to say that that’s the old Russia, an attitude long gone—but recent activities in Crimea, Georgia, and eastern Ukraine have forced us to consider otherwise. Regardless, this is all on a governmental level. 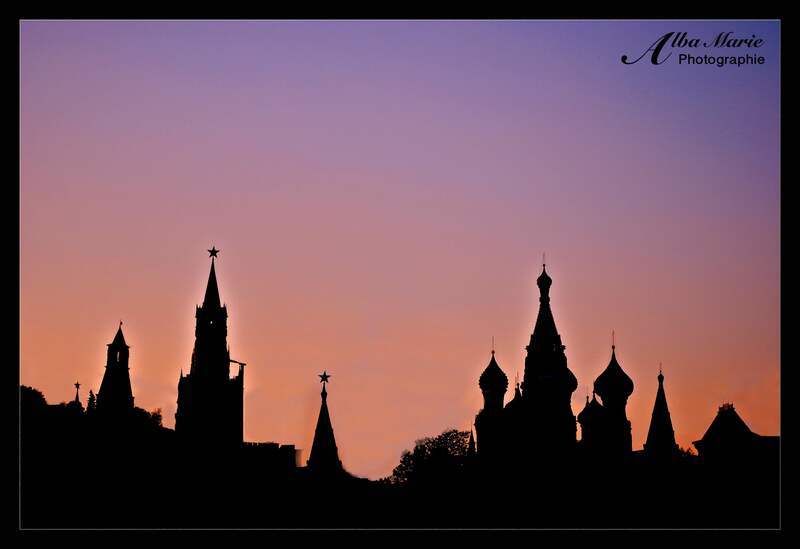 Moscow—on a human level—is nothing like its portrayal in the news, in spy novels, by Hollywood. It is a shrine, beautiful yet reminiscent of an old life, nostalgic. It is also filled with communist-era buildings, marshutkas (small, ancient bus-vans that service the outskirts and are run word-of-mouth), and power lines that criss-cross endlessly. This is a city at the tipping-point of modernization—one still not 100% sure it wants to be modernized. Regardless, Moscow emits an indescribable and fascinating beauty. It is full of history and memory and grandeur. It is the eastern gate, the last holdout laying at the feet of the East, and it is beautiful one–especially during the sunset. It’s early in the morning, and Moscow hasn’t quite woken up. The sky is still yawning; you are still clutching your cup of coffee. Alighting at a seemingly nondescript metro stop, you start your way up a hill, to see what kinds of Russian treasures you can discover. Amid small spires of gold and silver, you hear a Russian business man bark his order to the barista and old Russian cars grumbling by; though there is little sound on the streets at this early hour. Rounding the corner, you suddenly find yourself face-to-face with what looks a lot like a magnificent cake from one of those gourmet bakeries. You gasp, suddenly feeling lightheaded as you realise that this strange yet highly impressive building is the iconic St Basil’s in the infamous Red Square (or Krasnaya Ploshad). 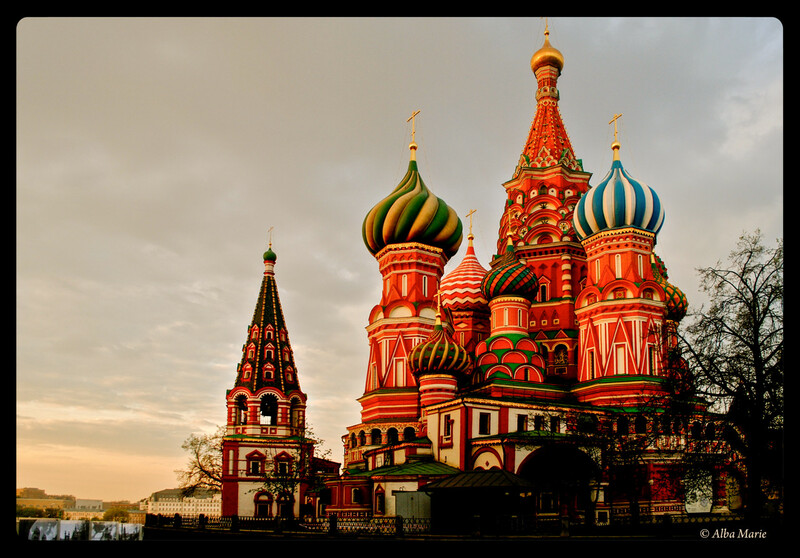 St Basil’s is the Russian Orthodox cathedral all others are compared to–and with good reason! Despite no longer being a working church, the building is what comes to everyone’s mind when one hears the word “Moscow,” “Red Square,” or “Russian cathedrals” because of its unique–and bizarre!–form. Commissioned by Ivan the terrible in 1555-61, it was built as a commemoration of the capture of Kazan and was meant to resemble a bonfire’s flames reaching for the sky. To this day, it is one of the most iconic, beautiful, and well-known buildings throughout the world. Despite the scary stories you may remember from your childhood, Russia is not the terrifying place you were brought up to believe. (Or perhaps it is, but it’s hiding behind the world’s most beautiful facade!?) 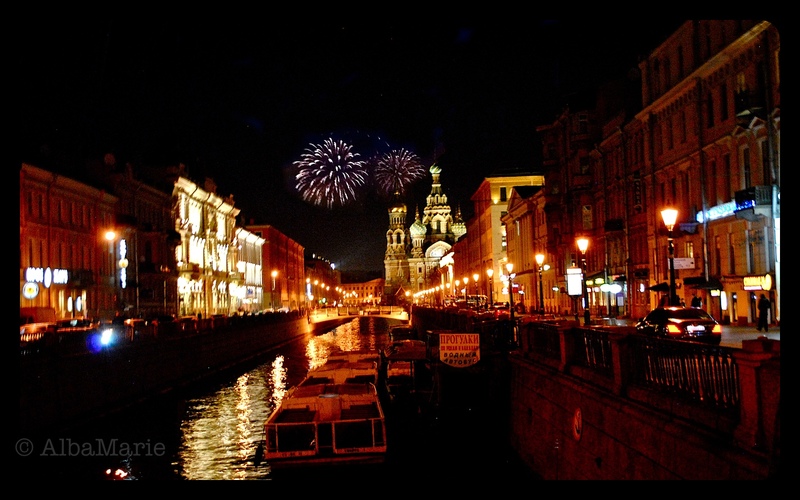 St Petersburg is in the running for Europe’s most beautiful city–and many wouldn’t even consider SPB in Europe at all! They would be wrong; one look at the city, and it is quite apparent that SPB is genuinely European. The city is the jewel in Russia’s crown (if it had a crown). In fact, St Petersburg is a work of art! The river Neva and the street Nevsky Prospekt are the city’s main arteries, coming together just around the corner of St Isaac’s, and, flowing along these two arteries are the city’s most important and most beautiful buildings. Climb to the top of St Isaac’s for a bird’s-eye view of this amazing city, and try to count the spires and domes of all the cathedrals dotting the horizon! 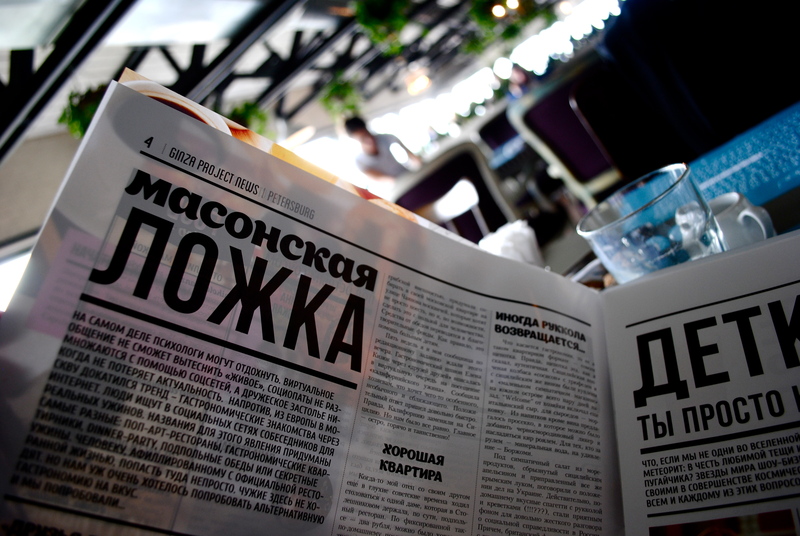 Drinking coffee in a beautiful Russian cafe, I picked up a newspaper and began to slowly decipher the words I knew. In light of my recent travels to Russia, I couldn’t resist putting a photo of the Cyrillic alphabet in response to this prompt, as I find Cyrillic even more beautiful than the Latin alphabet. Cyrillic was named after the saint brothers Cyril and Methodius who are generally given credit as the creators of the Glagolithic alphabet, which eventually developed into the Cyrillic (by way of the Greek alphabet), bringing literacy to the Russian people. Today, over 250 million people use the script as their official alphabet, primarily in Russia and other nearby countries. Despite what it might seem, learning to read Cyrillic is not terribly difficult…the 3 genders, 6 cases, and difficult pronunciation is what makes learning Russian hard–although that’s no reason not to try!